Flyter was founded in February of 2018. In April 2018, it unveiled its vehicle concept, the PAC 420–120, a fixed wing VTOL with both electric and hybrid versions. The PAC 420–120 is modular, meaning its payload pod is interchangeable between a passenger and a cargo version. The aircraft gets its name because it has a take-off weight of 420kg and payload mass of 120kg. Flyter plans to release incrementally larger versions of the aircraft including the PAC 710–200 and the PAC 1350-400. Flyter is a Russian startup, and as such, the PAC's are designed less as urban air taxis and more as autnomous cargo vehicles that can transport payloads between remote regions of Russia. Type of Machine: Cargo transporter, with eventual passenger and autonomous versions. Altitude: Operates between 500 ft to 3000 ft above the ground. Vertical take-off and landing: the PAC 420–120 takes off vertically using four downward thrusting propellers than fold and are stored for cruising flight. Fixed wing flight: On a single propeller located at the aircraft's rear. Speed: 150 miles per hour / 240 kilometres per hour. Regulation: Flyter has not yet released any announcements on its regulation status. Funding: Flyter is actively seeking investment. Flyter has an advantage in that is has positioned itself to a niche market. Rather than trying to build another electric urban air taxi, it has chosen to build a hybrid aircraft so it can achieve much higher range, allowing it to connect remote parts of Russia that often have to wait up to 2 weeks for air transport. 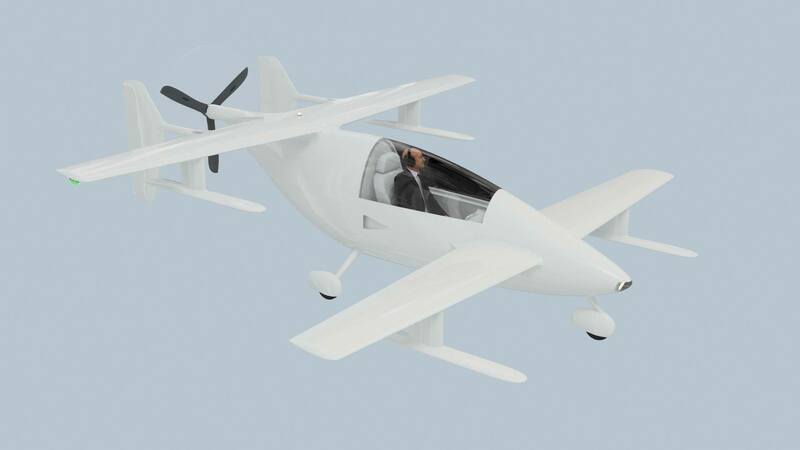 Flyter has also made other design choices in order to make its aircraft as economic as possible, calling it the 'workhorse of the sky'. Ultimately, Flyter seems to deeply understand the market it is entering into, and has created an aircraft that is not a 'pie-in-the-sky' idea, but a practical solution to a real problem.